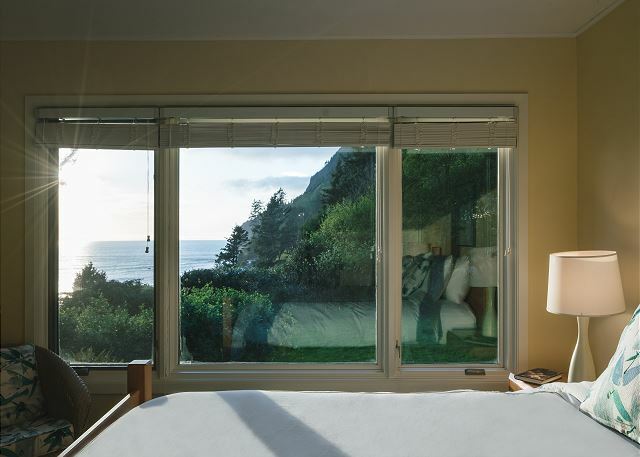 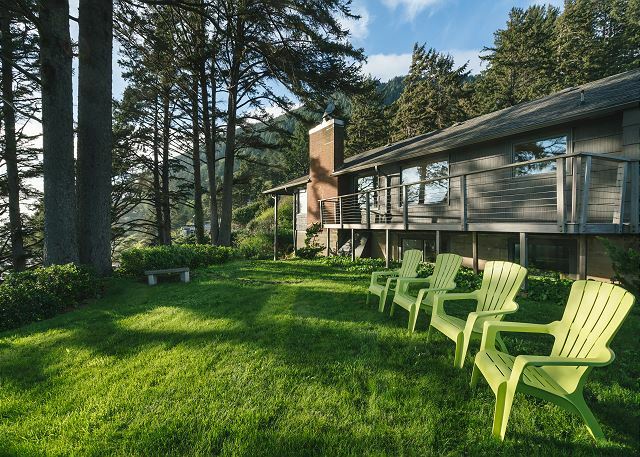 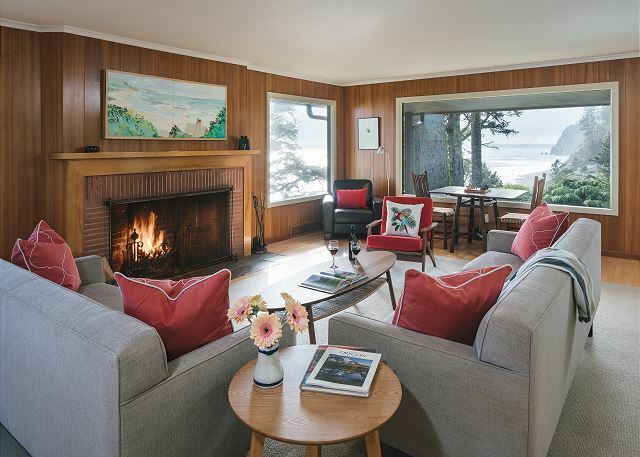 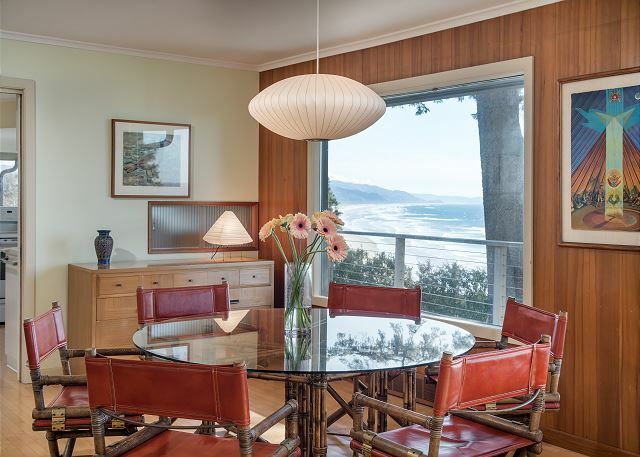 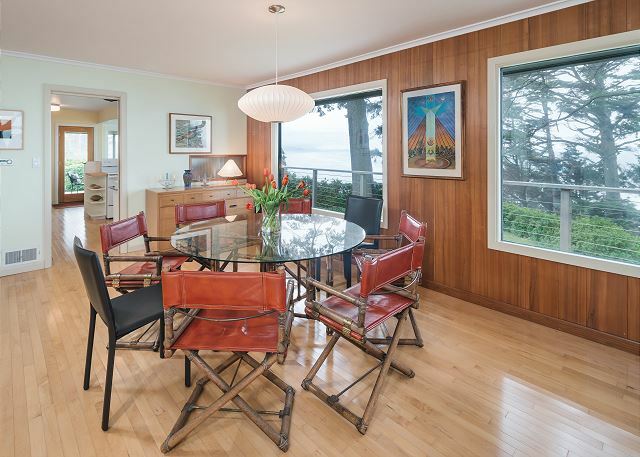 Get away from it all in this newly updated classic mid-century home with stunning oceans views. 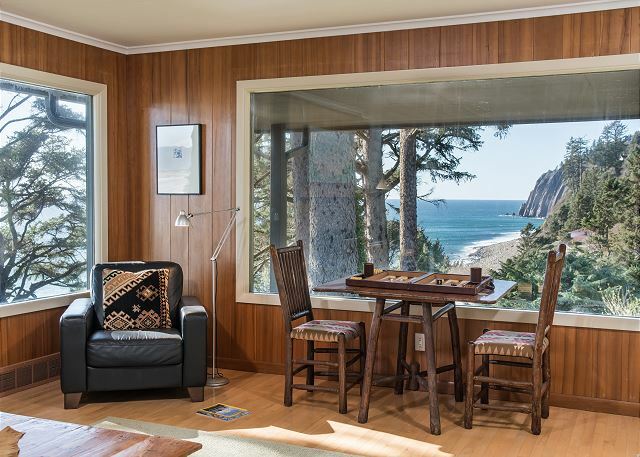 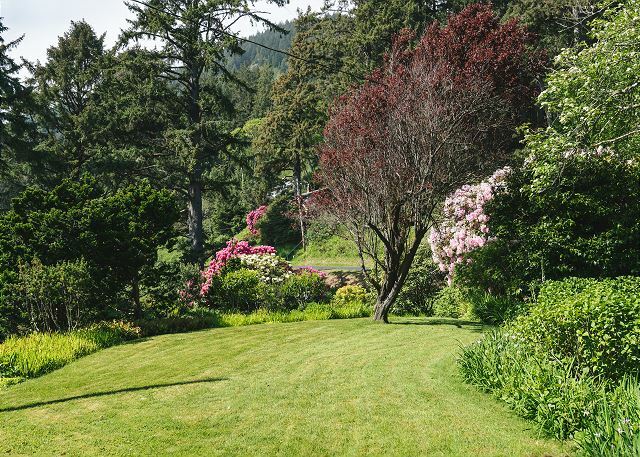 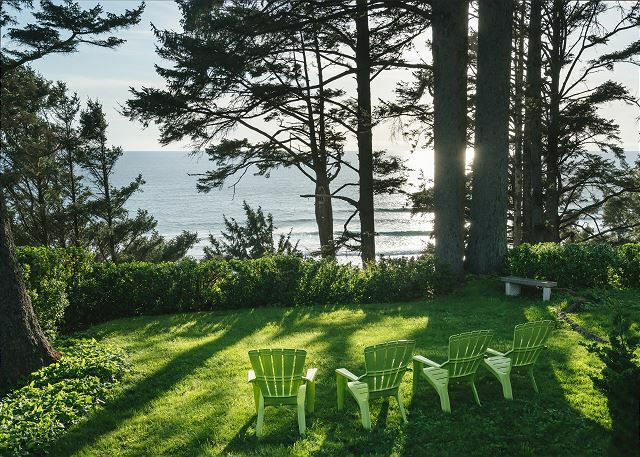 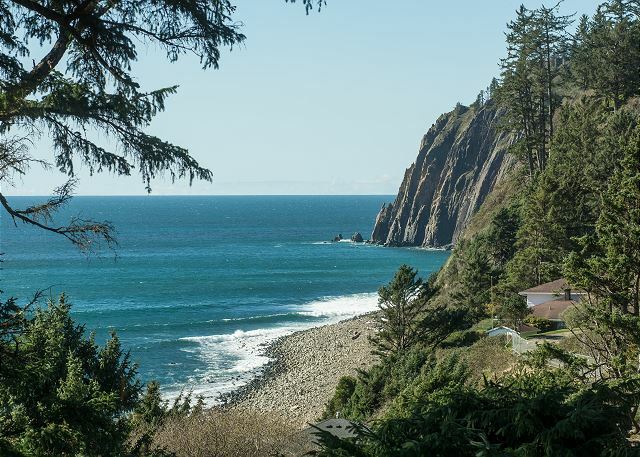 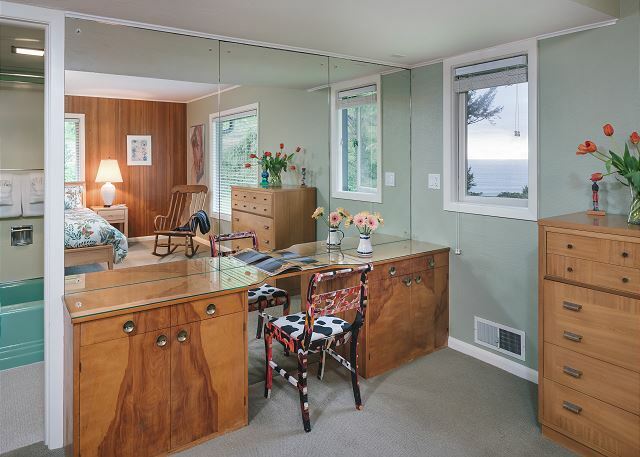 Situated on a secluded bluff at the foot of Neahkahnie Mountain, you will find this peaceful retreat still filled with the original charm of bygone days. 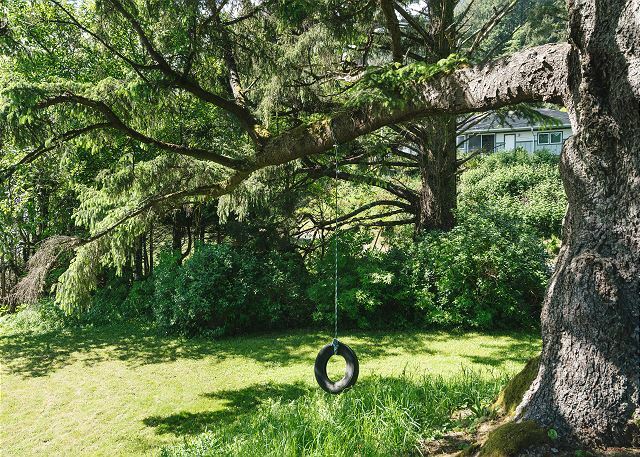 Discover your private half acre grounds with manicured landscaping and if you feel adventurous, a tire swing in the yard. 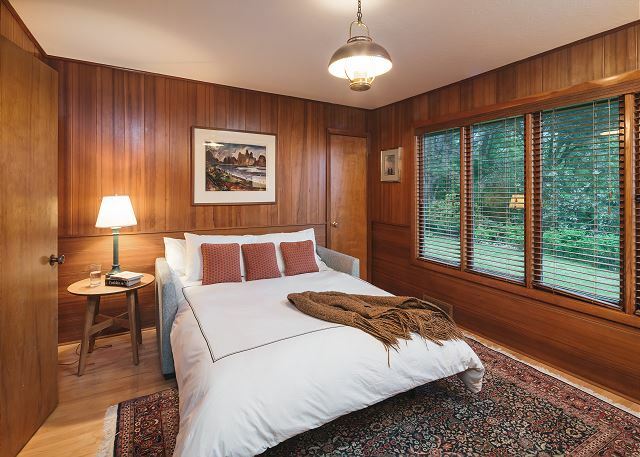 3-Night Minimum. 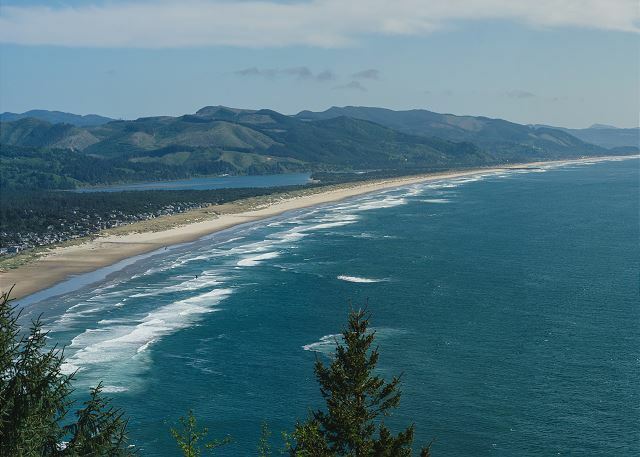 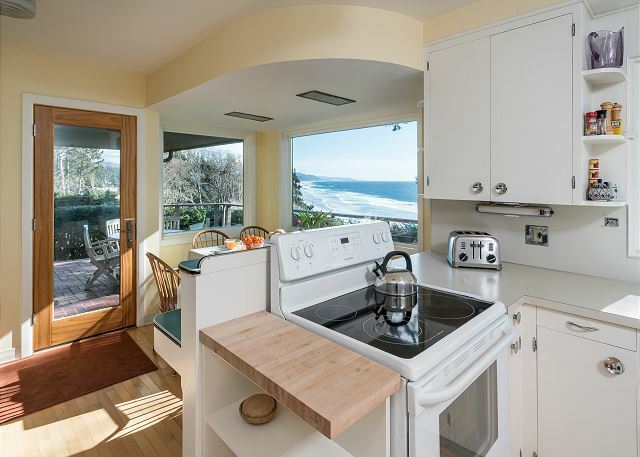 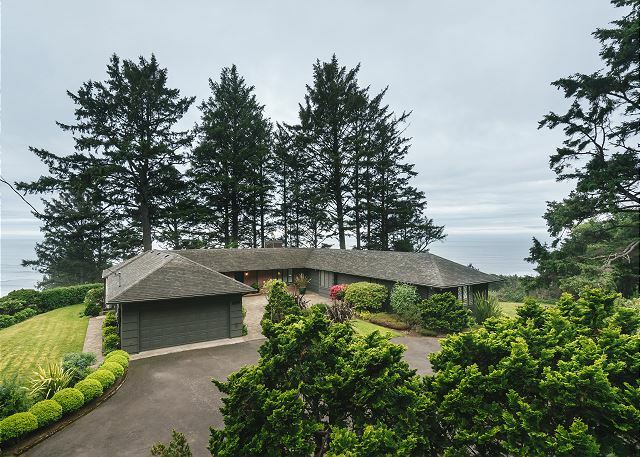 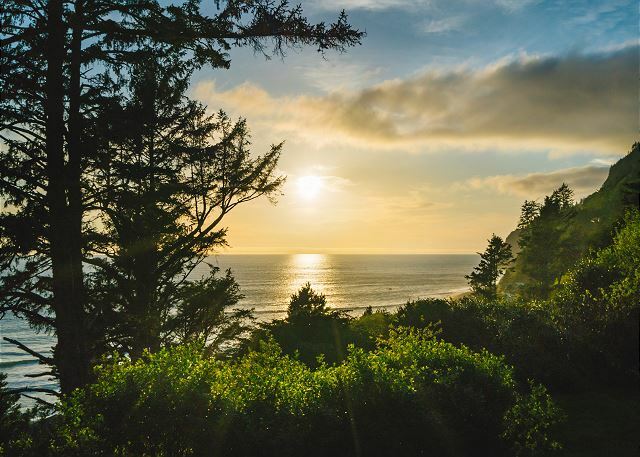 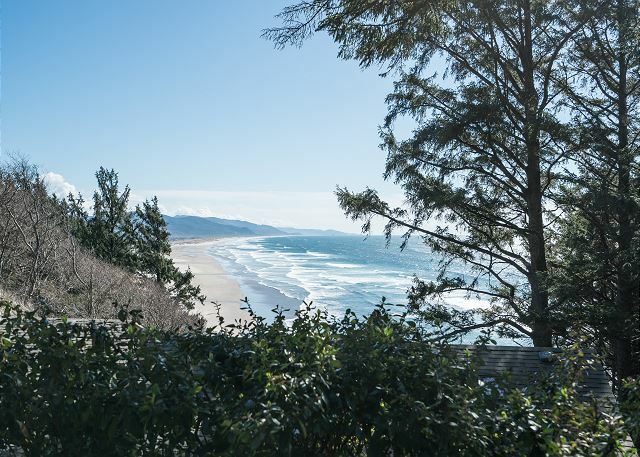 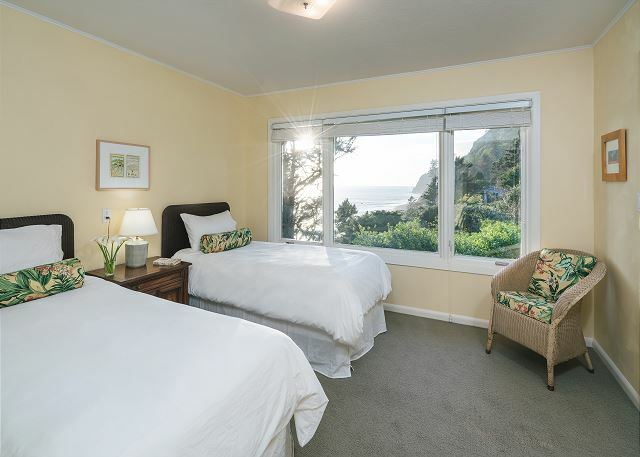 The majestic setting of this home overlooking the ocean still leaves you only a short five-minute walk to the renowned Manzanita beach with its wide sweeping sand beach and dunes. 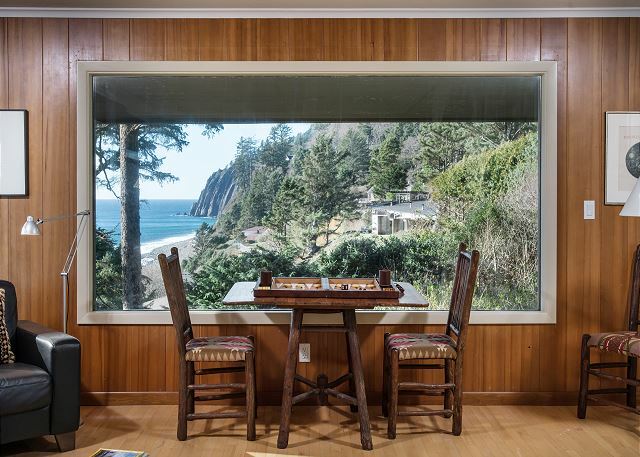 If you want to take a trip back in time when America was great, this house is for you. 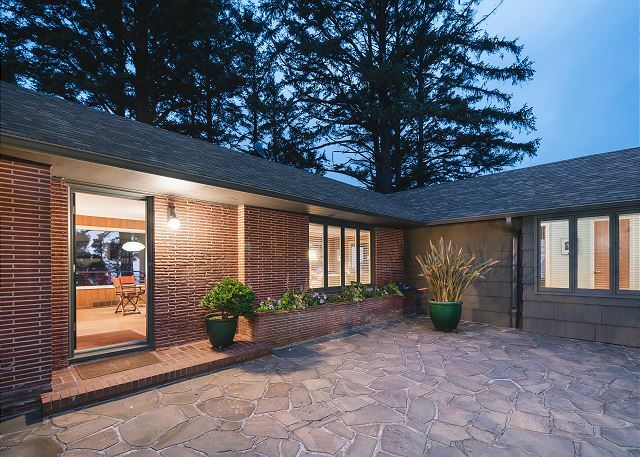 Exterior: Classic mid-century courtyard will greet you with beautiful vegetation and large slate stone patio. 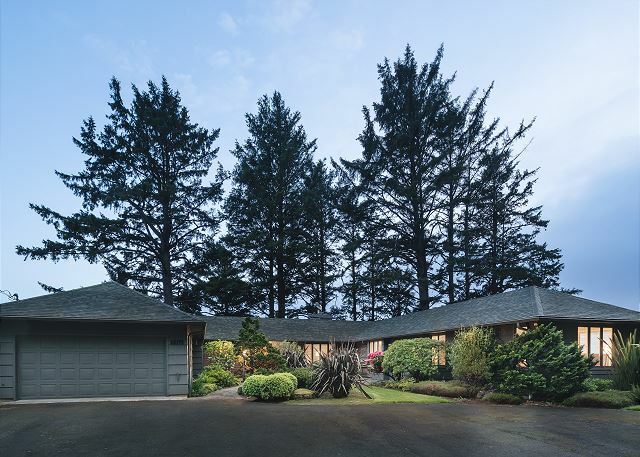 Multi-level manicured estate grounds surround this home for your outdoor enjoyment. 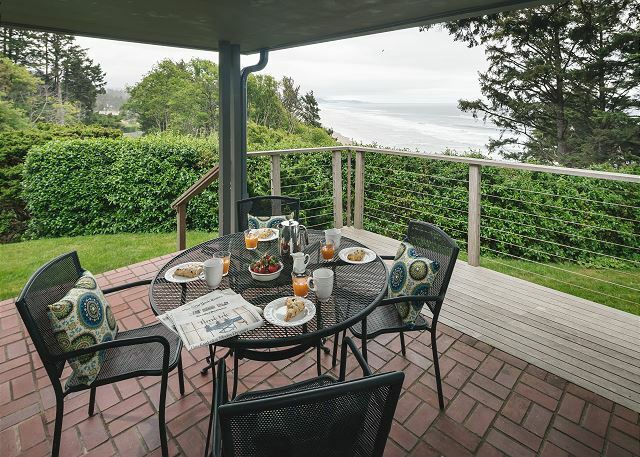 Two additional patios for tea or coffee gatherings South and North. 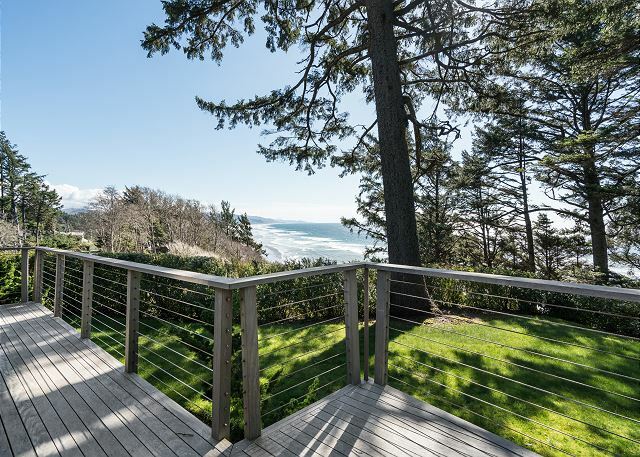 Front and center, facing the ocean you will find an elegant deck for relaxation and reflection. 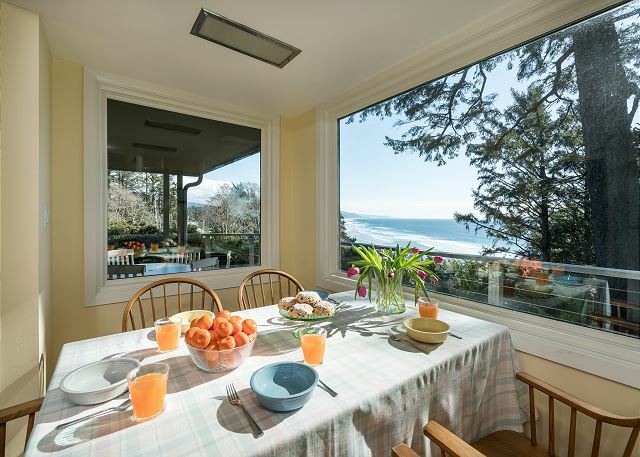 Overall on the grounds of this home you will find stunning views with the sound of the waves crashing below. 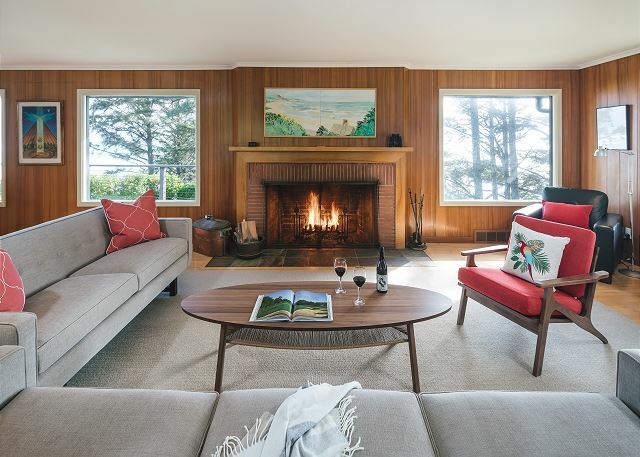 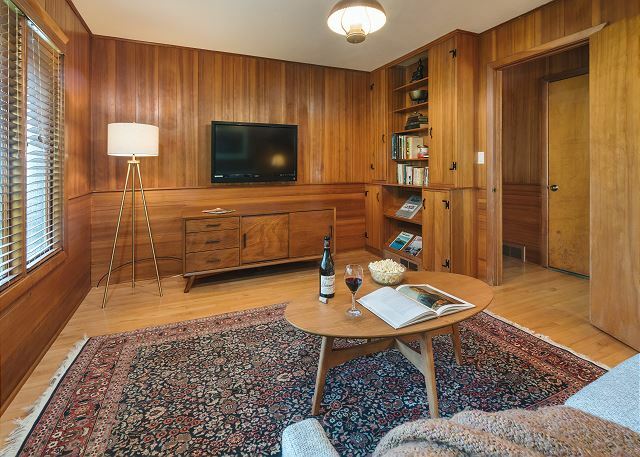 Interior: Home is decorated in the mid-century style with modern comfortable furniture and classic fixtures. 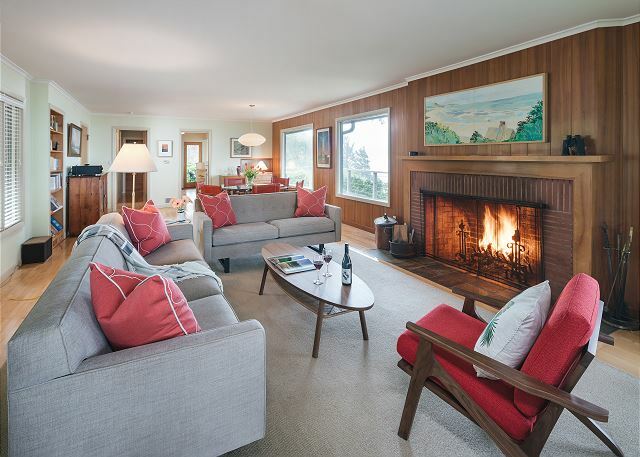 Two huge wood fireplaces are at your disposal for crackling wood fires to cuddle up and read your favorite book or play a game with others from the home's fully stocked game selection. 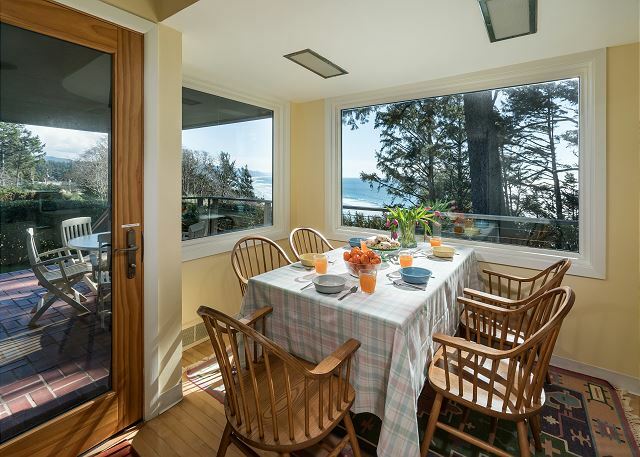 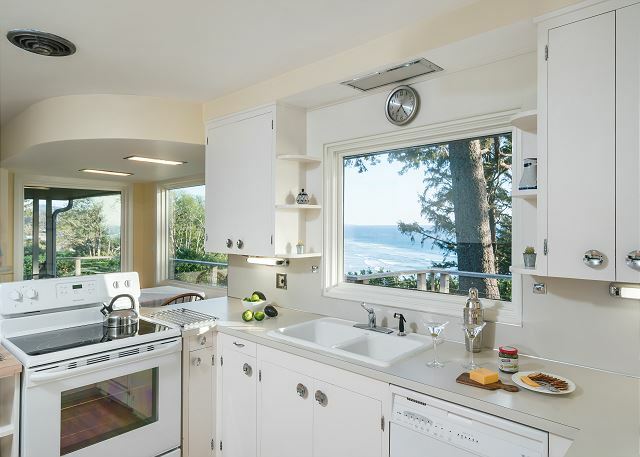 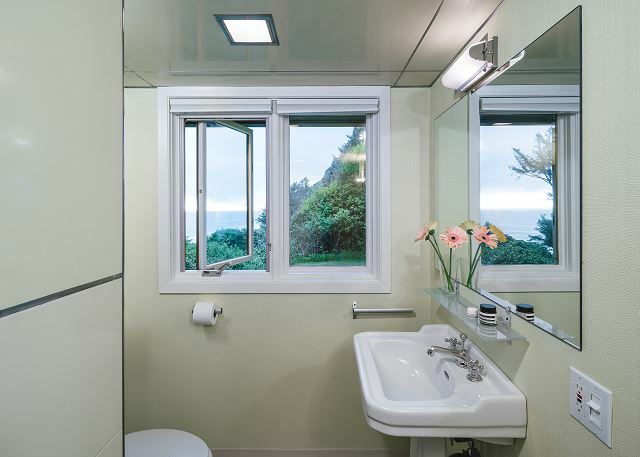 Almost EVERY room in this home has sweeping ocean views if a storm forces you inside. 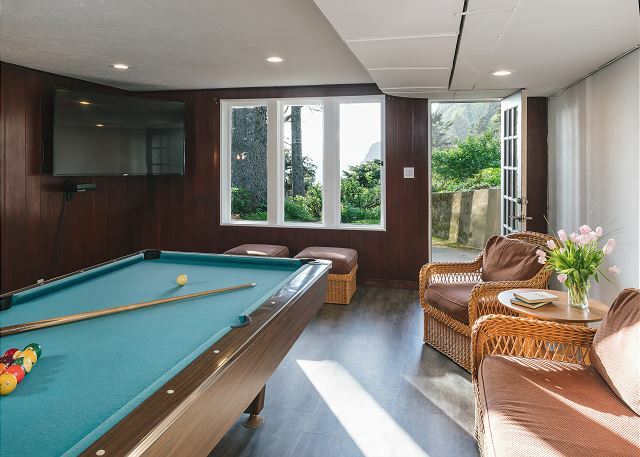 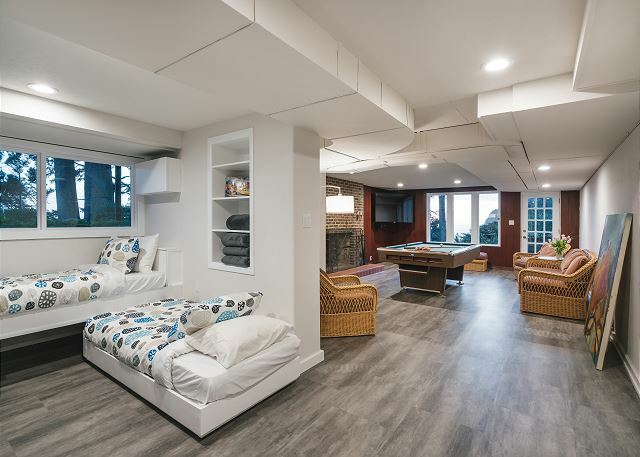 Newly remodeled daylight basement, with yet another stunning view of Neahkahnie, offers a pool table, 65-inch flat screen TV, lounge and coffee table, bunks for four guests, wood-burning fire place, and ping pong table. 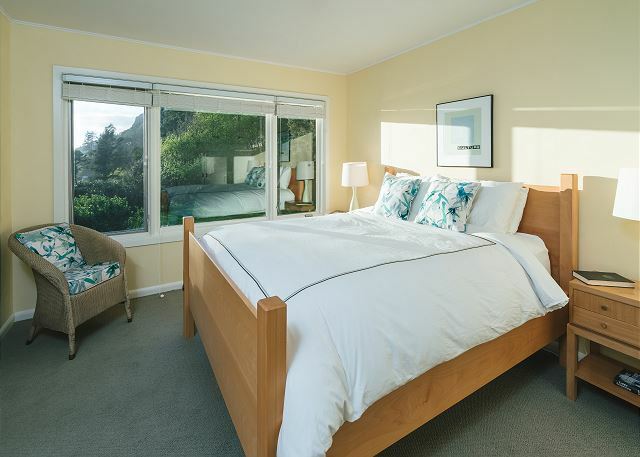 Classic for the period sleeping wing offers you peaceful, spacious accommodations day or night. 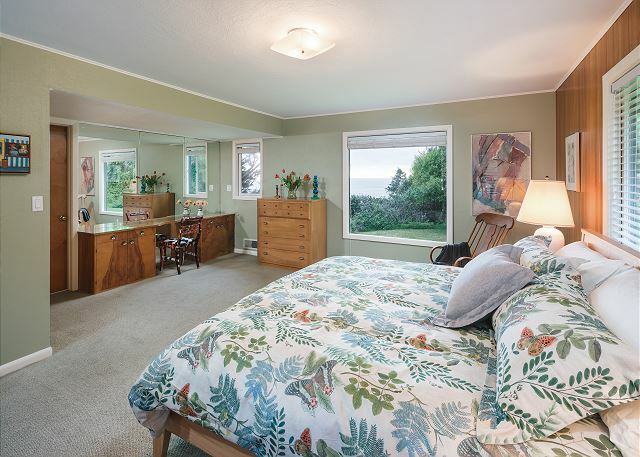 Master king bedroom suite with bath, vanity and large closet will take you back in time. 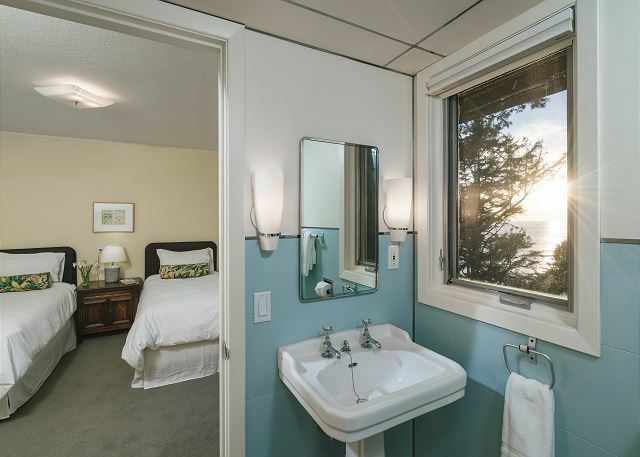 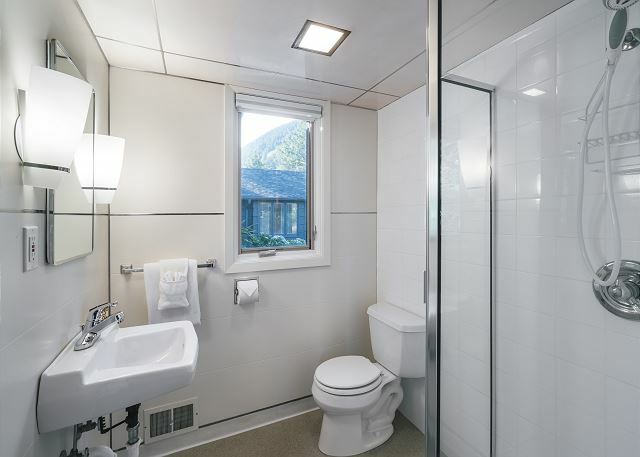 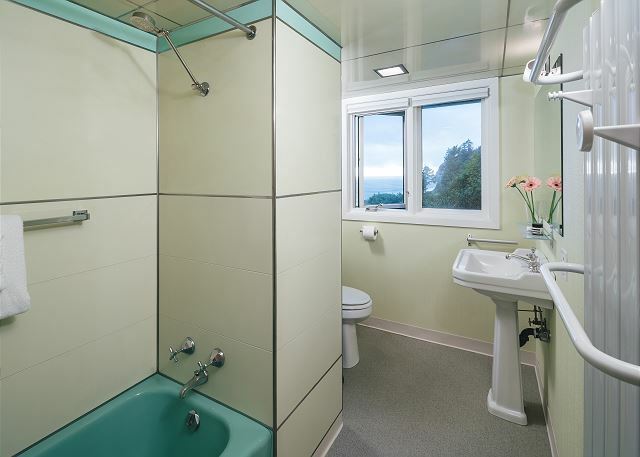 Additionally, the queen or twin suites are connected by a "jack and Jill" bathroom for your convenience. 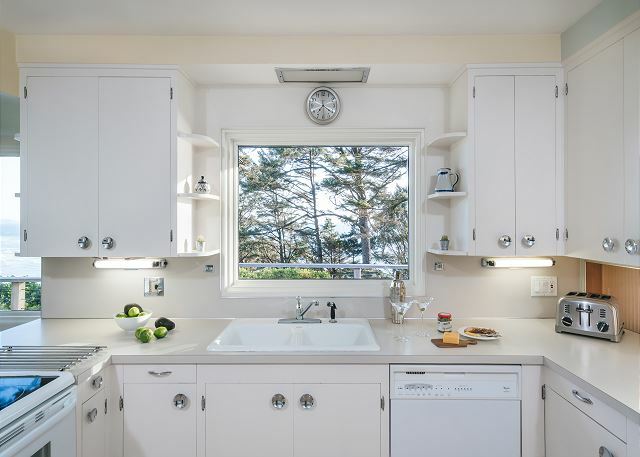 Spacious, fully stocked kitchen and breakfast nook with period cabinets and fixtures is at your call for meals. 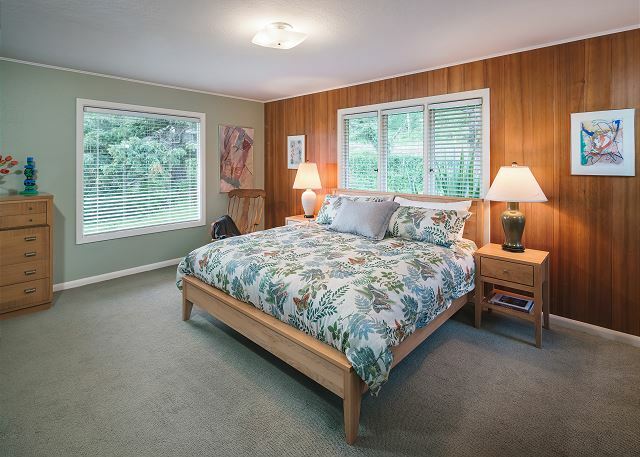 A fourth bedroom on the main floor doubles as a lounge with flat screen TV and new uber comfortable queen pull out couch with gel mattress is available for a movie or reading. 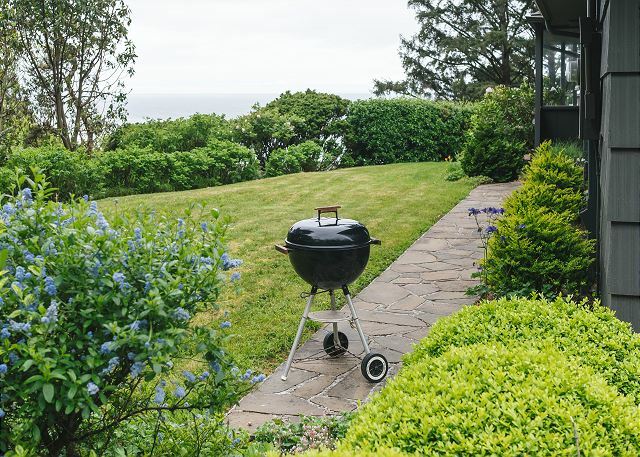 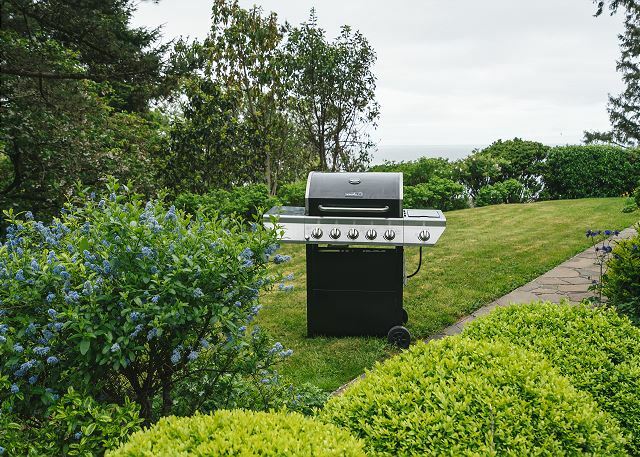 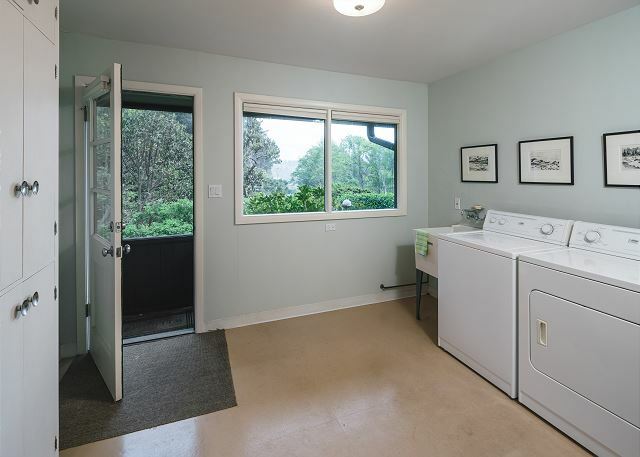 All the extras: Gas grill Full size laundry room with ocean views! 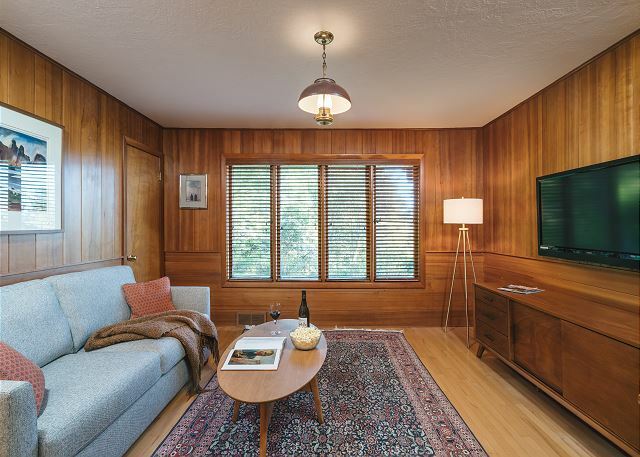 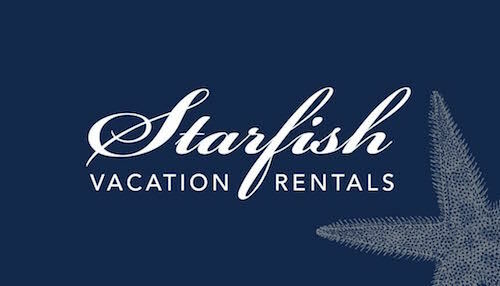 Extended range, high speed internet service and cable-equipped TVs. 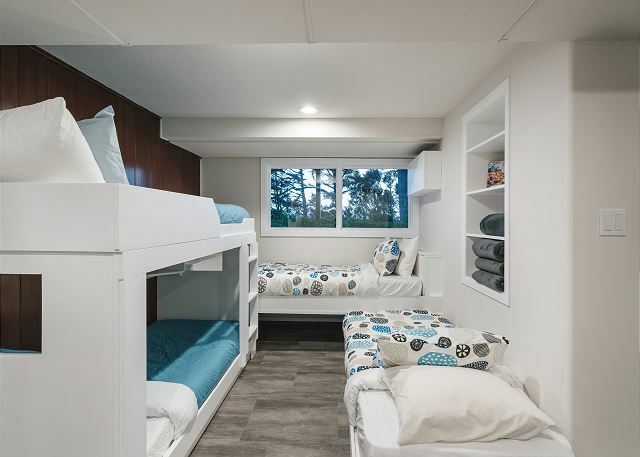 Garage parking for one car and large private parking area. 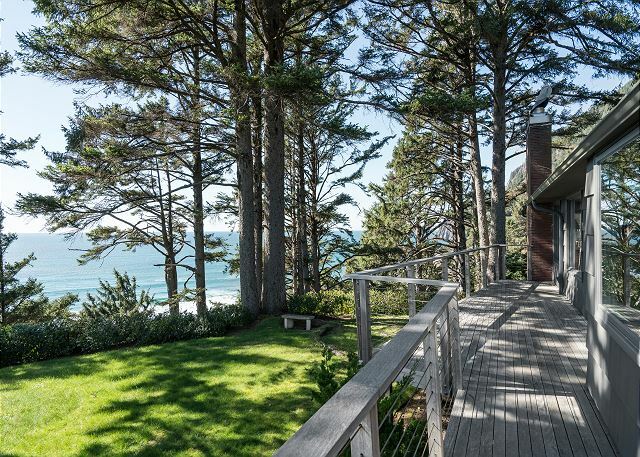 Wood supply. 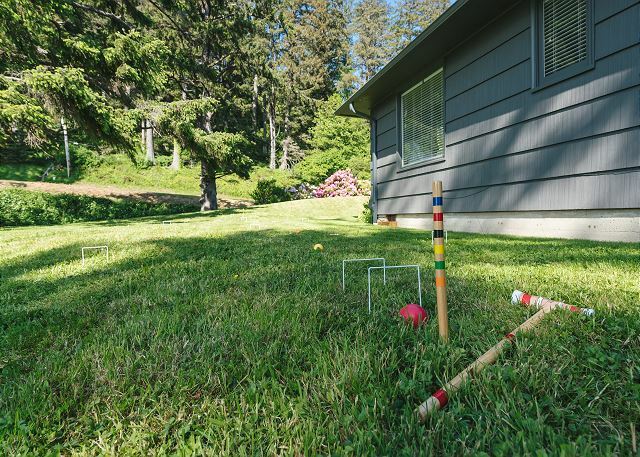 Sand toys and lawn games.